An innovative company – headed by two of Scotland’s experienced former police and fire chiefs – is projecting a rapid rise in sales for its unique business resilience services after securing its largest contract to date. FIOR, which provides a bespoke support service to help companies and public organisations in areas such as crisis management and incident response, has secured a significant training contract with prestige drinks giant Edrington, building on the fire safety and incident management training currently being delivered across their Scottish distilleries operation. The contract with Edrington – whose portfolio includes The Macallan, The Famous Grouse, Highland Park and Snow Leopard – will see Fior deliver incident leadership training to management teams in offices in South Korea, Taiwan, Singapore, China, New York, Dominican Republic and Spain over the next 12 months. FIOR (Gaelic for true, strong and real) has seen a surge in growth for its specialist services – which also includes fire safety, security planning and training – since the business was formed in 2009. The company was founded by Joe Holden and Tommy Mann, MBE, who have operated for more than two decades at Police and Fire Service executive management levels across Central Scotland, UK national and international levels. Other experts in key sectors have been recruited as the business expanded. Tommy retired from the role of Director of Service Delivery with Central Scotland Fire & Rescue Service – in addition to being head of the operational firefighting response for the region. 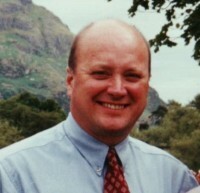 Joe Holden retired as Chief Superintendent, Head of Operational Policing with Central Scotland Police, which saw him hold lead roles in the response and investigation of the Dunblane Primary School shooting, the policing of the G8 Summit in Gleneagles in 2005. Joe and Tommy are highly experienced and trained commanders within the Gold–Silver–Bronze command structure used by the UK’s emergency services to establish a hierarchical framework for the command and control of major incidents and disasters. Tommy is a qualified ‘Gold Commander’ in the arena of Chemical, Biological, Radiological and Nuclear Incident threat while Joe is qualified as a ‘Gold Commander’ for Firearms Incidents. Joe said the FIOR team can provide unrivalled ‘trade craft’ to staff members to handle business-critical issues that can threaten a firm’s decades-long reputation, or perhaps ensure it can survive a crisis. He said: “Our team – through their impressive and long-standing careers – have gathered rare and unique experiences of leading, planning and responding to a vast array of professional challenges. “This experience means we are able to provide companies and organisations with realistic and tested tools, training and guidance to help their people to control the inevitable crises that will occur and prevent a potential disaster in regards to people safety, reputation and business continuity. “We like to ask companies if their business could survive if it was involved in a repeat of the horsemeat scandal or what disaster recovery measures it has in place should another Clutha helicopter tragedy happen? Can they seamlessly and effectively work as part of a Gold, Silver and Bronze command structure? FIOR – which is based in Stirling – offers a range of individual consultancy services as well as practical training courses. FIOR’s expertise and growing reputation as incident management trainers has seen people from an impressive list of blue chip clients such as Edrington, RBS, Dounreay, The Malcolm Group, Standard Life, Iberdrola, National Galleries of Scotland, North British Distilleries, Glasgow City Council, Aberdeenshire Council and Tesco Bank attend their training courses. In 2014 FIOR travelled to Erdington’s’ Brugal rum distillery and bottling operation in the Dominican Republic to develop and deliver an effective critical incident response plan and train in excess of 70 staff at Gold, Silver and Bronze command levels. This training also included preparing the staff to respond to the prevalent regional threat of earthquakes and hurricanes. Joe added: “Our business has grown year-on-year as we gain the trust of companies and organisations and they realise the importance of how to survive a crisis or incident, coupled with confidence of working with knowledgeable professionals from their sectors. “Pound for pound, our services provide great value when ranged against the threat of reputational damage caused by the poor handling of a crisis. In 2014 FIOR delivered their first 22 week Diploma of Integrated Emergency Management to eight students drawn from the public and private sectors. The Diploma delivered at the University of Stirling is recognised by the University giving successful students 30 access credit points to their MSC in Professional Learning & Leadership programme and aims to equip senior staff with management, communication and decision-making skills to successfully guide a company in the pressurised environment of a critical incident. This unique course includes a three-day residential scenario training exercise. FIOR is also currently offering single day training sessions on Critical Incident Leadership Training taking place in Edinburgh and Stirling on May 12 and May 13. More than 250 middle and senior managers from various sectors have already completed this course. More information on FIOR, the Diploma and single day sessions is available from fior.org.uk.